When developing an application for the Internet, you will inevitably across problems many problems in your environment. The goal of this guide is to assist you with locating the problem with your MapServer application. Starting with MapServer 5.0, you are able to control the levels of debugging/logging information returned to you by MapServer, and also control the location of the output log file. In technical terms, there are msDebug() calls in various areas of the MapServer code that generate information that may be useful in tuning and troubleshooting applications. Full path and filename of a log file, to contain MapServer’s debug messages. Any file extension can be used, but .log or .txt is recommended. The file will be created, if it does not already exist. Starting with MapServer 6.0, a filename with relative path can be passed via the CONFIG MS_ERRORFILE directive, in which case the filename is relative to the mapfile location. Note that setting MS_ERRORFILE via an environment variable always requires an absolute path since there would be no mapfile to make the path relative to. Use this to send MapServer’s debug messages to the Web server’s log file (i.e. “standard error”). If you are using Apache, your debug messages will be placed in the Apache error_log file. If you are using Microsoft IIS, your debug messages will be sent to stdout (i.e. the browser), so its use is discouraged. With IIS it is recommended to direct output to a file instead. Use this to send MapServer’s debug messages to the standard output (i.e. the browser), combined with the rest of MapServer’s output. Use this to send MapServer’s debug messages to the Windows OutputDebugString API, allowing the use of external programs like SysInternals debugview to display the debug output. Windows users can alternatively set the environment variable through the Windows System Properties; but make sure to set a SYSTEM environment variable. Level 4 plus any msDebug() output that might be more useful to developers than to users. Instead of setting the DEBUG Debug level in each of your mapfiles, you can also be set the level globally by using the MS_DEBUGLEVEL environment variable. Once you have set the MS_ERRORFILE and DEBUG level in your mapfile, you should now test your mapfile and read your generated log file. The recommended way to test your mapfile is to use the MapServer commandline utility shp2img, to verify that your mapfile creates a valid map image. shp2img should be included in your MapServer installation (MS4W users need to execute setenv.bat before using the utility). source raster PL (-793.394,-1712.627) for dst PL (188,48). msFreeMap(): freeing map at 0218C1A8. freeLayer(): freeing layer at 0218F5E0. freeLayer(): freeing layer at 030C33A0. freeLayer(): freeing layer at 030C3BC8. freeLayer(): freeing layer at 030C4948. freeLayer(): freeing layer at 030C7678. Use this setting to set the debug level for the MAP object only. msFreeMap(): freeing map at 0205C1A8. Use this setting to set the debug level for one layer object only. freeLayer(): freeing layer at 02F23390. freeLayer(): freeing layer at 03113390. If you are using mapfile INCLUDEs, it may be tricky to track down this line number, but most of the time the line number is useful. If you are using tile indexes to access your data, you should also be aware of the configuration settings added in MapServer 5.4 that allow you to tell MapServer how to handle missing data in tile indexes. Please see the CONFIG parameter’s ON_MISSING_DATA setting in the MAP object for more information. Once you have verified that there are no problems with you mapfile, next you should check your Web server log files, for any related information that may help you narrow down your problem. Find your Web site under the tree on the left. On the Web site tab, you will see an option near the bottom that says “Active Log Format.” Click on the Properties button. This error is often caused by missing DLL files. You should try to execute “mapserv -v at the commandline, to make sure that MapServer loads properly. If you have verified that MapServer creates a valid map image through shp2img, you’ve checked your MapServer log files, and there are no problems noted in your Web server logs, then you should focus your attention on possible application configuration problems. “Application” here means how you are displaying your map images on the Web page, such as with OpenLayers. To enable debugging in PHP MapScript, if you are using MapServer 5.6.0 or more recent, make sure to define ZEND_DEBUG in the PHP source. It is not strictly necessary to build MapServer with debugging enabled in order to use GDB on linux, but it does ensure that more meaningful information is reported within GDB. To enable full symbolic information use the –enable-debug configure switch. Note that use of this switch disables optimization and so it should not normally be used for production builds where performance is important. To run either mapserv or shp2img, give the name of the executable as an argument to the “gdb” command. If it is not in the path, you will need to provide the full path to the executable. Once you are at the “(gdb)” prompt you can use the run command with the arguments you would normally have passed to the mapserv or shp2img executable. The current source language is "auto; currently c++". If the program is crashing, you will generally get a report like the above indicating the function the crash occurred in, and some minimal information on why. It is often useful to request a traceback to see what functions led to the function that crashed. For this use the “where” command. It may also be helpful to examine variables used in the line where the crash occurred. Use the print command for this. In this case we see that the program crashed because poOpenInfo was NULL (zero). Including a traceback like the above in bug report can help the developers narrow down a problem more quickly, especially if it is one that is difficult for the developers to reproduce themselves. Make sure that MapServer is compiled in debug mode (on unix this is enabled through ./configure –enable-debug). Note that only errors will be written to the log file; all DEBUG output goes to stderr, in the case of Apache that is Apache’s error_log file. If you are using Microsoft IIS, debug output is routed to stdout (i.e. 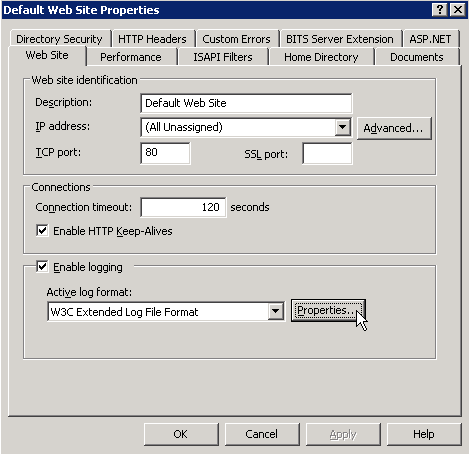 the browser), so be sure to remove DEBUG ON statements if using IIS on a production server.